Today’s guest is John Fernandez, the President and CEO of the Massachusetts Eye and Ear Infirmary in Boston, Massachusetts. Mass Eye and Ear is one of the world’s leading specialty hospitals dedicated to ophthalmology and otolaryngology care, or as John says, they take care of everything from the neck up except the brain, but maybe the brain too sometimes. 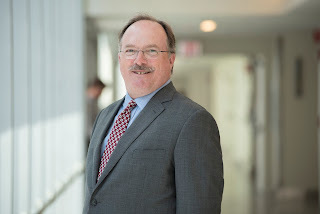 In this podcast John talks about his journey to leading this world class organization, including his progress into the executive ranks at another world class Boston organization, the Brigham and Women’s Hospital. Throughout the interview, John talks about his management approach, which focuses on the fundamentals: plan, execute, follow up. While this sounds like a fairly simple formula, I think anyone who has tried it knows that simple isn’t always easy. John tempers his management approach with a focus on kindness, which was something heartening to hear from a senior executive. One of the things that is clearly important to John is work life balance. We talked about work-life balance both before and during the interview, and one of the pieces of advice he gives to early careerists is to get your personal life sorted out first, and then figure out what you want from work, which was interesting advice. John has a series of questions that he gives people to help guide them through that process. You can find a reproduction of the slides he shared with me with the questions here. Transcript: A transcript of the podcast is available here. 0:22:04 Are leaders made or born? 0:27:17 about Brigham and Women's Hospital, "a young organization"
1:02:17 what is a "specialty hospital"? 1:04:20 how do patients come to be seen at MEEI? 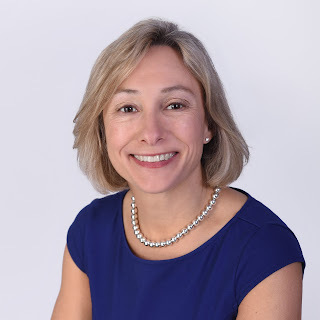 Today's guest is Katie Fullam Harris, the Senior Vice President of Government Relations and Accountable Care Strategy for MaineHealth, in Portland, Maine. Katie oversees the development, implementation and coordination of state and federal advocacy on behalf of the MaineHealth System, and also leads the development and implementation of strategy that supports improved access and value for health care consumers and purchasers and the alignment of incentives for providers in the MaineHealth System. Prior to coming to MaineHealth, Katie worked in a variety of not-for-profit, government, and for-profit institutions. In this podcast, Katie and I discuss her career journey, then transition to talk about what it’s like to manage government relations and health policy for the largest integrated health system in the state of Maine, and the challenges of trying to move a large system towards paying for value. We conclude with a discussion about influence and leadership. We cover a lot of ground in this interview, especially around the recent evolution of health policy. I think early careerists in particular will get a sense of the importance of integrating proactive government relations in a large healthcare organization. 1:09:37 where do early careerists go wrong? 1:12:18 most frequent advice to early careerists?